Lots of people are trying to adopt a more environmentally-friendly lifestyle. So they recycle paper and aluminum, put timers on their lights, set thermostats differently when no one is home, or install low-flow toilets and other water-saving devices. Most people have several eco-friendly initiatives taking place at one time under one roof. But what about the roof itself? If you’re thinking about building a home or replacing your roof, here are eight “greener” options which you may wish to consider. 1. “Cool” roofs. These types of roofs represent the fastest-growing segment of the roofing industry. The materials consist of a mixture of white glue and white gravel which serve to reflect the sun’s rays, thus reducing the amount of heat that invades the home. Less heat means a decreased need for air conditioning, which in turns cuts the need for electricity produced from coal-fired power plants. 2. Wood shingles. These are experiencing a renaissance of sorts because of their “greenness.” Wood roofs have always been durable; they generally last about 15 to 20 years. And not only can wood shingles be recycled once the time comes to replace the roof, but the original materials can be manufactured from reclaimed or recycled wood. Therefore, the life cycle of the wood can be lengthened. 3. Metal roofs. Like wood shingles, metal roofs can be both produced from recycled metal products and recycled themselves after replacement. 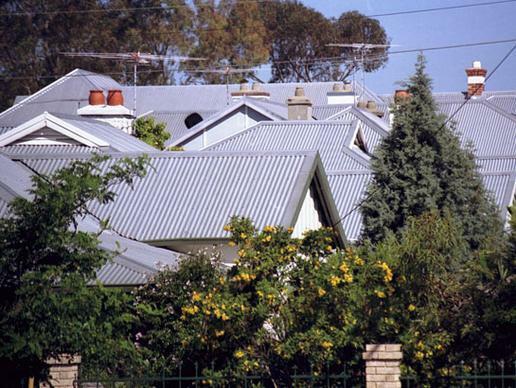 It doesn’t hurt that metal roofs can last 50 years or more while reflecting heat and keeping energy costs down. There’s even a coated metal roofing product available that resembles the look of granite and can be laid over existing composite shingles. 4. Clay tiles. Did you know that clay tiles are completely recyclable? These are common in desert climates because of their ability to reflect the heat and reputation for durability. 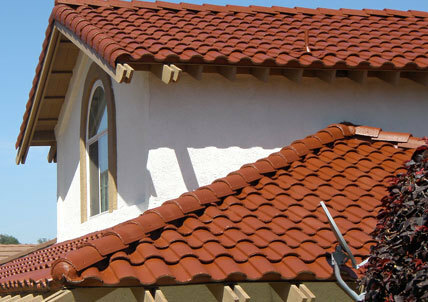 Plus, homeowners save on electricity costs because clay tiles insulate against both heat and cold by creating an “air cushion” below and above the tiles. 5. Slate tiles. 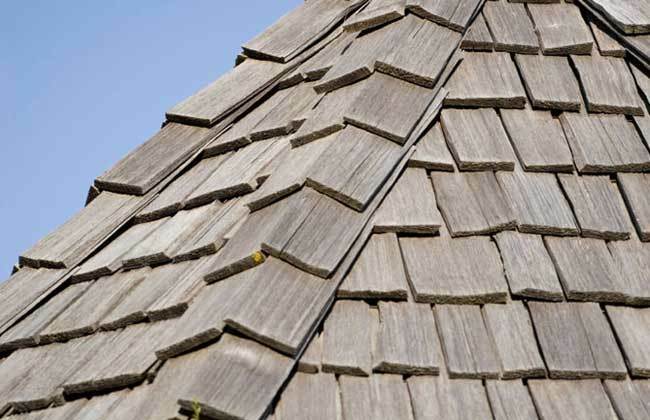 This may win the “sturdiest material award.” The tenure of slate roofs tends to be measured in centuries rather than years (in fact, some companies offer a 100-year warranty on slate roofs). 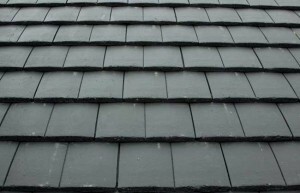 And if you can find a company which repurposes salvaged slate tiles, your roof will be even more eco-friendly. 6. 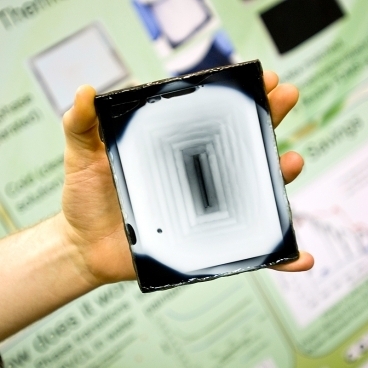 Solar cells in roofing materials. It’s actually called “building integrated photovoltaic technology,” and it consists of embedding small solar cells into traditional roofing materials like shingles and metal. Though this technology is pretty expensive, it does offset a home’s energy costs by augmenting its power usage with solar electricity. 7. 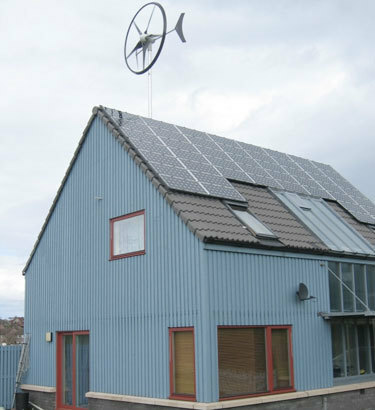 Wind turbines in roofing materials. No, this doesn’t consist of shingles with windmills on them. They’re actually panels with miniature wind turbines embedded inside them to harness the wind that may blow over your home’s roof. Though it won’t serve as a structure’s primary power source, the time may come when a windy day can provide electricity for your home. 8. 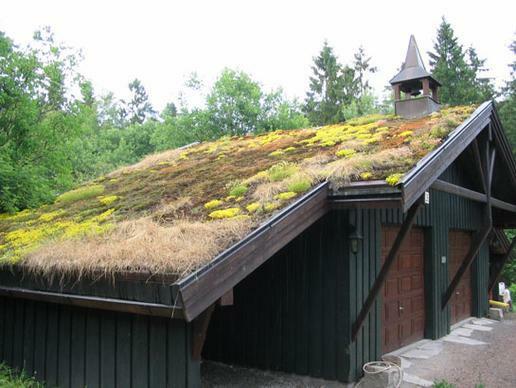 Plant roofs. Yes, you can actually plant a garden or lawn on your roof. Known as “horticultural roofs,” they consist of a few inches of sealed material onto which up to two feet of soil is layered. It’s enough to support a habitat of flowers, shrubs, hedges, mosses and even trees or crops — although these roofs tend to be very high-maintenance.